The residents of Long Beach voted down casino proposals three times in the 1990s, but they welcome a casino in the post-Katrina economy. 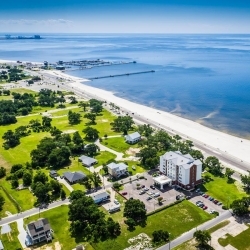 The Mississippi Gaming Commission approved a land-based casino for the Gulf Coast city of Long Beach, Mississippi this week. It is the first legal gaming venue for Long Beach, which is 10 minutes drive from Gulfport and 30 minutes from Biloxi. If the Long Beach casino receives final approval, it would be the 13th operational casino in Mississippi. Just this month, the Tunica Road House closed for business. The current license approval continues the years-long process of Mississippi’s casino industry moving its center from Tunica County in the northwest part of the state to the Gulf Coast, where tourists can enjoy the state’s beaches on the Gulf of Mexico coastline. Regulators voted unanimously to approve the casino license. Commission members met in November to discuss the issue, but delayed the decision a couple of months to give them more time to study the decision. This week’s approval remains conditional on financing. James Parrish and his investors — the ownership group in the Long Beach casino — must prove they have the financing to develop the casino. The Gaming Commission set down the broad framework for the development plan, which includes a 300-room hotel, a fine dining restaurant, and a 40,000 square foot modern casino gaming space. James Parrish told local media outlet WAPT that his ownership group has worked for 2 years to design their plan. Long Beach Mayor George Bass said that the city council’s architectural review board would need to approve the design plans before ownership could move ahead with construction. Along Mississippi’s Gulf Coast, architectural designs are particularly important because they must protect the resort from a storm surge from hurricanes. Three years ago, a casino design plan failed to gain acceptance because its storm wall was too small to meet Mississippi regulatory standards. The potential ownership group in the case complained about unrealistic standards, but their complaints soured the entire casino development process and it never gained approval. The Long Beach casino would sit on U.S. 90 on a 12-acre plot of land where the old Kmart used to be. Developers have considered the area for decades, but the people of Long Beach opposed the idea of casinos. Three times in the 1990s, Long Beach residents voted down casino plans. Much has changed since then. Tunica County generated thousands of jobs in the northwest part of the state in what was then the poorest county in the country. Located an hour’s drive from Memphis, Tennessee, the area became the third-leading casino destination in the country — behind only Las Vegas and Atlantic City. Meanwhile, a viable casino industry gained traction in Biloxi and Gulfport, where Gulf Coast casinos drew customers who were vacationing on Mississippi’s beachfront cities. By the time Hurricane Katrina damaged the Gulf Coast casinos in August 2005, the gaming operators were major employers in the area. At the time, Mississippi’s casino industry was the second biggest employer in the state — behind only the state government itself (state police, teachers). Though Hurricane Katrina was a setback for the Gulf Coast casinos, they bounced back stronger than Tunica Resorts. More states in Middle America and the Mississippi River Delta built casinos, so the market became both saturated and fragmented. Casino resorts needed something special — like beachfront property — to set them apart from the rest. Long Beach, on the other hand, saw its job market decline. Like many Gulf Coast cities without casinos, Long Beach never fully recovered from the damage of Katrina. Almost all buildings within 1,600 feet of the ocean were destroyed. Though its median income and household value is higher than Biloxi’s or Gulfport’s, the city’s unemployement rate is consistently 1.5% to 2.0% higher than the national average. Building codes established by the Federal Emergency Management Agency and Mississippi Emergency Management Agency in the wake of Katrina has slowed the rebuilding effort. While buildings continue to be replaced, the economy is still not at pre-Katrina levels. When George Bass became the mayor in 2017, he stressed economic growth above all else. With the building of infrastructure and condomiums (for rent) reaching completion nearly 15 years after the devastating hurricane, Long Beach could become a major destination resort for people who want to enjoy beaches. A casino would help the recovery.